Jamie + Amber - 2015 EnGAYged Wedding EXPO Giveaway Finalists! Hi there! My name is Jamie and my partners name is Amber this is a short story that will hopefully catch your eye. We met in high school in 2002 where we dated for a little while. 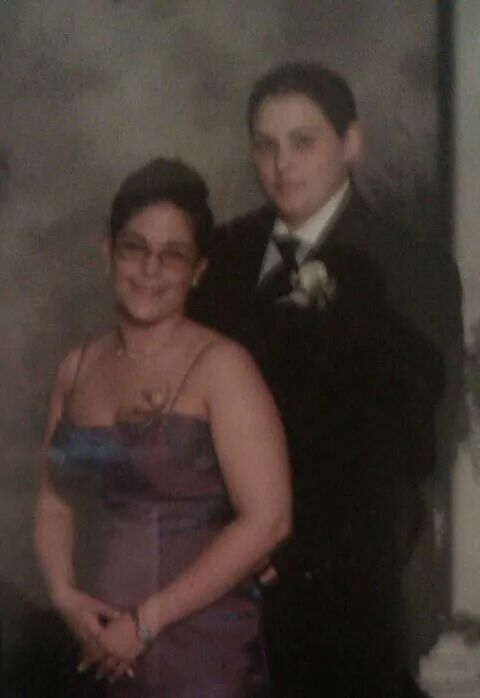 The photo shows us at prom in 2004. 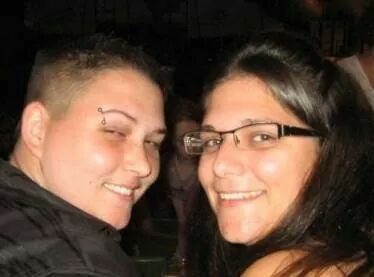 We were the first lesbian couple to go to prom together. Unfortunately we were forced to separate due to our parents approval. Which as of today I will say our families are our support system. They have stood behind us and supported our decisions with open arms. After what I like to call a lifetime of waiting we found each other again in 2008. We have been inseparable since. We have been together 6 1/2 years now. Together we raise a beautiful little girl who we are hopelessly devoted to. 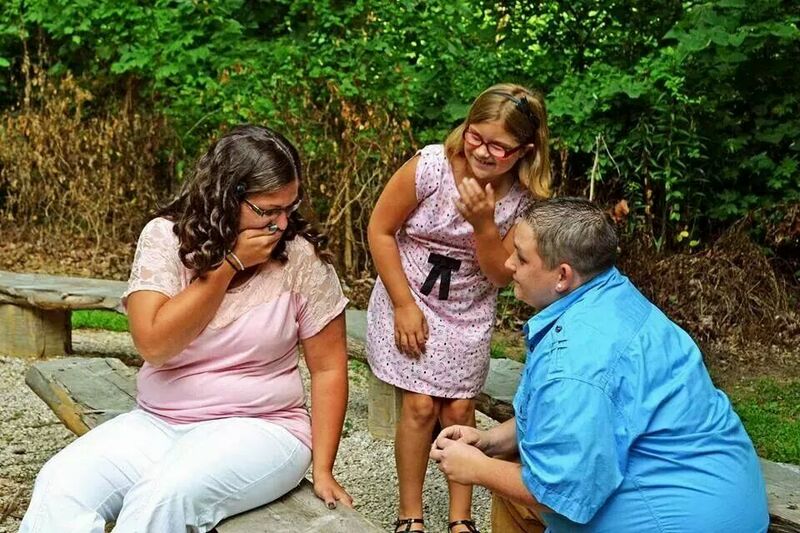 About 6 months ago for our 6 year anniversary I hired a photographer for family photos and popped the question. If a picture is worth a thousand words look at what I call the "moment". That photo is my whole world and it would mean everything to me to be able to give this woman the wedding of her dreams. She has made mine come true already! Please consider us for this once in a lifetime wedding. We appreciate your time and thank you for reading our love story.